A father and his daughter were kayaking near the beach off the coast of Puerto Madryn in Argentina when they encountered at least two whales. The whales were so near the kayak's path that the two kayakers were not able to guide their boat away from the whales. The kayak ran smack into one of the whales' back. For a few seconds, the kayak was suspended above the water. The events were captured on video through a GoPro camera held by one of the kayakers (the father). Whales swimming very near the beach in Puerto Madryn is not unusual. 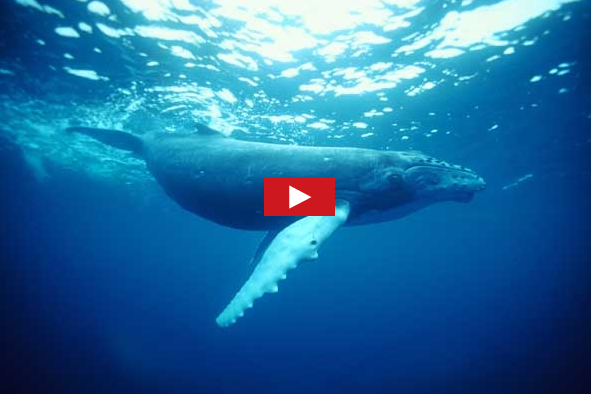 Locals are used to seeing these gigantic water creatures swimming there. The ones spotted by the kayakers are Right whales.